PlayerUnknown's Battlegrounds is tweaking the speed of the game in a way that will have some serious implications for how PUBG plays here on out. Patch 10, which first came out on the PUBG test server before going wide a few hours later, makes the game's biggest changes to how the game's pacing works. The blue zone, which is the electric circle that slowly contracts, forcing players to stay within the safety inside its perimeters, has been changed to start much earlier in a game. While the blue zone will move at a slower speed, especially as the game reaches its end, the increased damage output of the circle and earlier start times means that players will be forced to move much faster. PUBG Corp. is also changing the safe zones by reducing the chance for them to spawn somewhere far away from the center of the map by 30 percent. So you'll find yourself rushing towards the other end of a map in fewer instances. These changes will affect PUBG's game times, which can sometime take half and hour. The faster pace will likely make the action happen faster as well, which is something PUBG encouraged during the test of its smaller island map, Codename Savage. 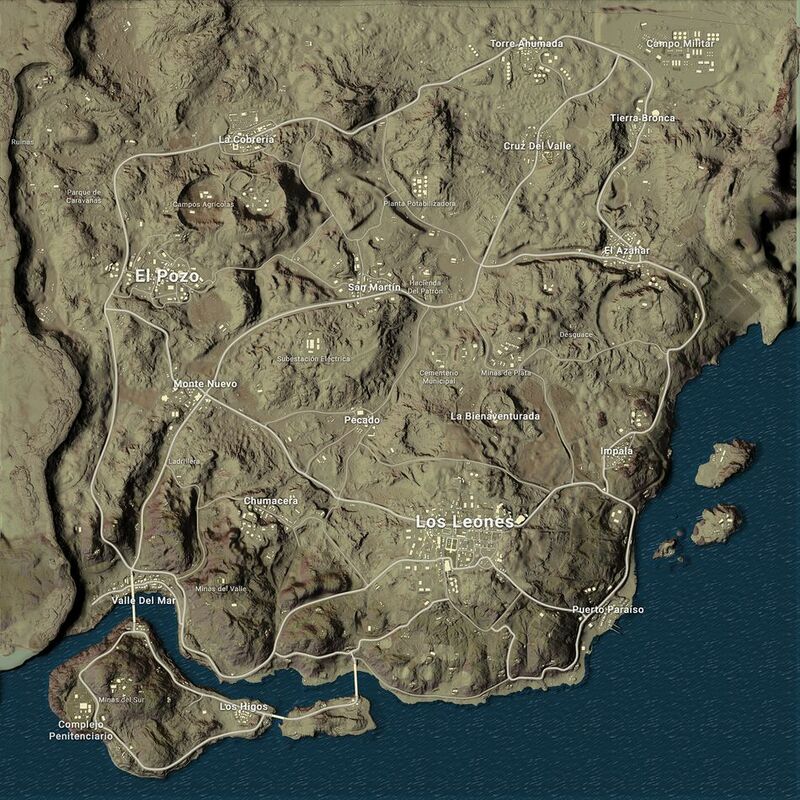 Miramar, the desert map that players have turned on in recent months, has also been given a few layout changes with new locations added to the northeast and northwest parts of the map. The chances of top-tier weapon drops have also been increased in certain locations to make the map more enticing. Lastly, clothes spawns have been removed from the game, which is something players have been requesting for quite some time. Players seem to be celebrating these changes on the PUBG subreddit. PUBG Corp. has been working really closely on pushing meaningful updates to the game at a faster pace in 2018. In an interview with PUBG creator Brendan Greene, he explained that the current focus is on working with players on new experiences on both PC and Xbox One, which is finally getting the Miramar map in the coming weeks.